One of the very first "investment vehicles" I ever had was a certificate of deposit. I thought it was great because I was earning more in interest than a savings account, with no risk, for doing the same thing I would have been doing (i.e. keeping the money in a savings account). 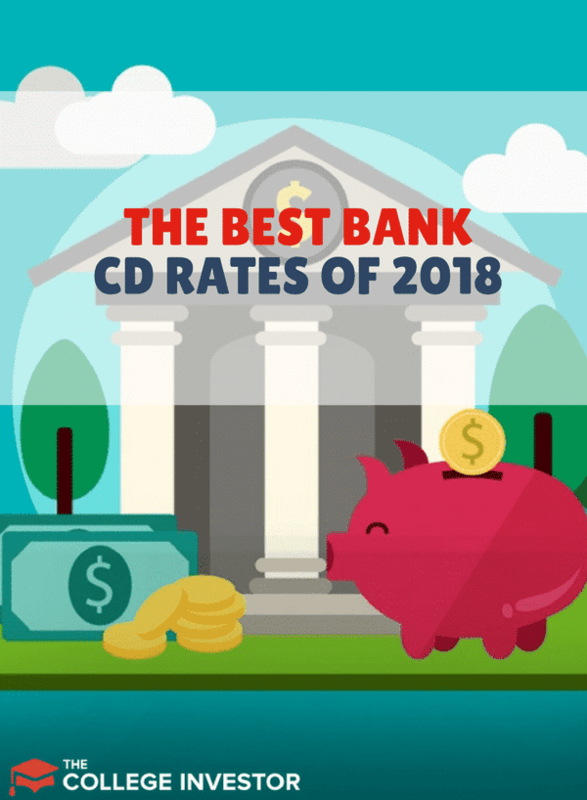 The best CD rates typically come from online banks. We've looked at traditional banks, online banks, and we even show some investment firms to give you the best CD rates we can find. Instead of a CD, get a higher yield at CIT Bank. Why? You can get up to 2.25% APY on your account! They currently offer one of the best interest rates available in a money market account. Open an account at CIT Bank here. The BBVA Compass Bank Bright CD is another one of our favorites. You currently earn 2.35% APY for a 36 month CD (as of February 15, 2019). That’s much higher than online savings accounts. They also have great CD rates of other terms of their CD products as well. While you might think that all CDs are made alike, there are some new players in the last few years that really give CDs a run for their money. These products might not be right for everyone, but they do provide a higher yield than savings accounts. Lending Club is one of the first peer to peer lenders. Instead of lending money to a bank, you can lend money to others. They advertise their loans as a low risk way to earn solid returns. We also think this is a great alternative to CDs. Check out our Lending Club review here. Read our full Ally Bank review here. The BBVA Compass Bank Bright CD is another one of our favorites. You currently earn 1.85% APY. That’s much higher than online savings accounts. They also have great CD rates of other terms of their CD products as well. Read our full CIT Bank review here. Read our full Fidelity review here. Check out the best 12 Month CD Rates here and see for yourself. I need a 4% cd ladder for the next 10 years. Then I forget stock market and retire. Maybe in a year or two rates will be that high! I’m looking for the Best FDIC insured top paying & Safe CD firm/bank to ladder from 1 to 3 years now with max. amounts alloyed in each? Check that table and you can see the banks – all are FDIC insured. However, with just a 1-3 year ladder, you might simply consider a money market account with no laddering/lock-up. You maybe gain a net weight of 0.4% interest with a CD ladder, but your money is locked up. Plus, rates keep rising so the MMA rate goes up. Check out the best money market accounts here.